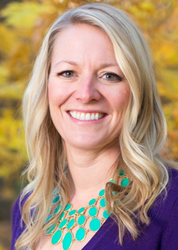 Dr. Angela Cotey now welcomes new patients in need of Invisalign® in Fitchburg, WI, with or without a referral. Clear braces offer discreet, customized correction for crooked, misaligned or crowded teeth. New patients with crooked, crowded or misaligned teeth interested in Invisalign® in Fitchburg, WI can now receive care with or without a referral from Dr. Angela Cotey’s Mount Horeb, WI practice. Clear braces offer a variety of benefits over traditional braces for both teens and adults, including comfort and convenience. The Invisalign orthodontic experience not only offers less conspicuous treatment, but can also help improve oral health. Invisible aligners make it possible for patients to maintain better dental and periodontal health because they do not get in the way when the patient cleans his or her teeth. Brushing and flossing routines can remain the same without special tools. These custom aligners are also removed during eating so patients can continue eating the foods they enjoy. Invisalign orthodontics offers additional improved comfort compared to traditional braces. While traditional braces can snag on the sensitive tissue of the inner cheeks and lips, clear aligners do not carry this risk because they are completely smooth on the surface. Dr. Cotey is experienced in offering this preferred orthodontic treatment and highly recommends it for patients in need of discreet and convenient care. Those who choose Invisalign are only required to visit Dr. Cotey’s office every four to six weeks. During each office visit, the patient is given new aligners that help move the teeth into the desired location. Patients with misaligned, crooked or crowded teeth are invited to meet with Dr. Cotey and receive a custom consultation for Invisalign in Fitchburg, WI. Appointments for clear braces can be scheduled by calling Village Smile Care at 608-433-2102 or visiting http://www.villagesmilecare.com.